FARMINGTON HILLS, Mich. – The Bosch Community Fund recently awarded more than $50,000 in grants to organizations in the Fairport, New York, area. The five grants fund student engagement in science, technology, engineering and math (STEM). The Bosch Community Fund strives to ensure that creative and practical STEM learning opportunities are accessible to students through project-based experiences. This grant will provide STEM resources for teachers and increase student access to hands-on STEM programs, demonstrating the Bosch Community Fund’s commitment to supporting education in the Fairport area. 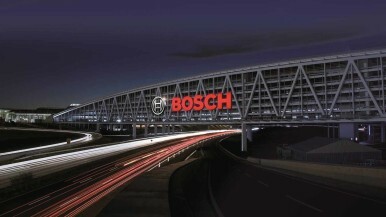 The Bosch Community Fund provides grants in U.S. communities where Bosch has business locations. Since 2016, Bosch Community Fund has awarded more than $105,000 to schools and organizations in the Fairport area. Annually, the Bosch Community Fund awards up to $5 million in grants to organizations invited to participate in the program.